The long awaited decision on whether Ben Roethlisberger would be suspended finally was announced today and the verdict is six games. Baltimore fans, with our schedule out as of 7 p.m. yesterday, that means our first meet with our division rivals for game four in the 2010 season is going to be sans Big Ben. Roethlisberger was suspended by NFL commissioner Roger Goodell for violating the Personal Conduct policy after he was accused of sexually harassing an underage college girl in a Georgia nightclub last month. 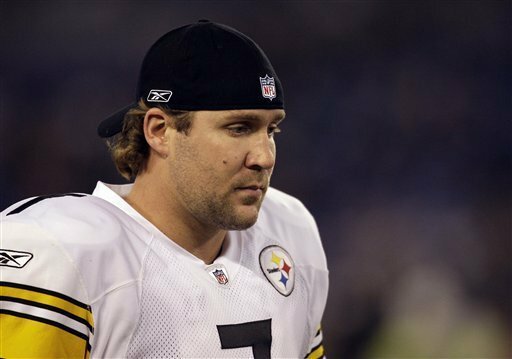 Ben Roethlisberger suspended six games for the upcoming 2010 season. Will he remain in steel city? Goodell said in the letter to Roethlisberger: “In your six years in the NFL, you have first thrilled and now disappointed a great many people. There have been rumors already of Art Rooney II and the Steelers franchise talking about trading Big Ben–could he be more trouble than he is worth?